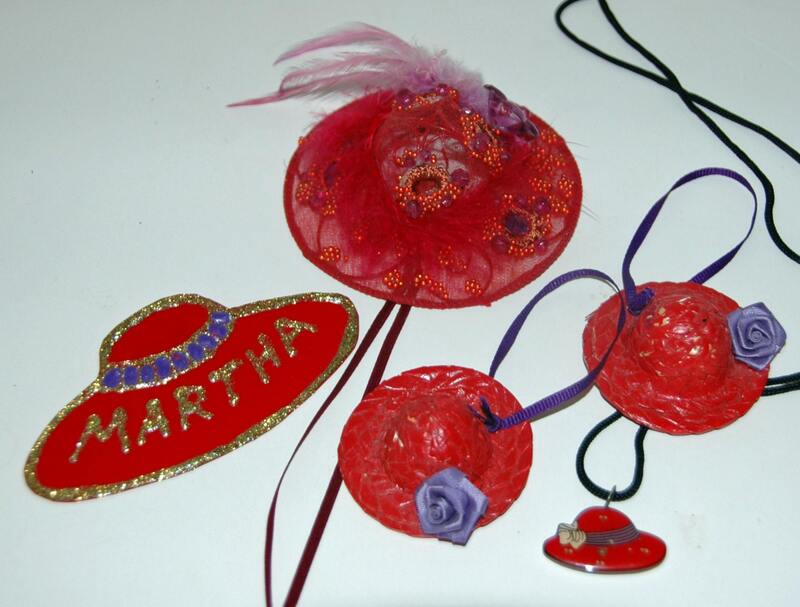 5 Collectible RED HAT ITEMS, HandMade Name Tag ‘Martha’, Pr Straw Hats, 1 Charm, Large Hat w/ Feather, Excellent Condition – ! Pr. 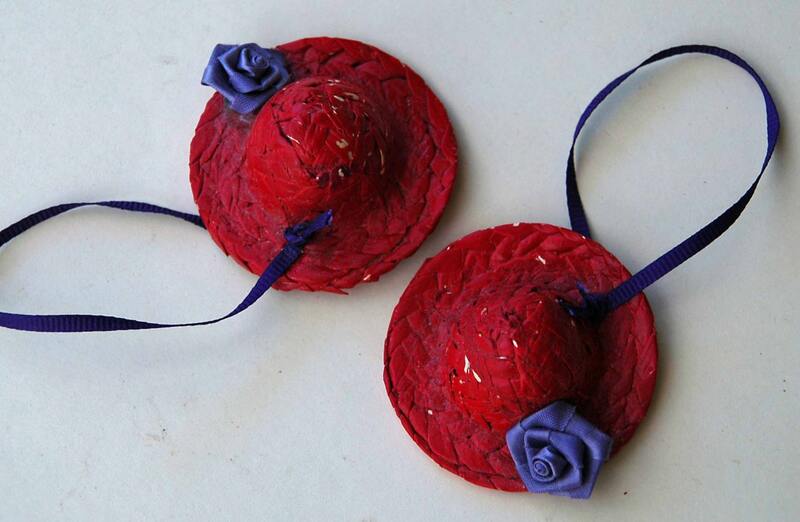 STRAW HATS would make great tree ornaments @ Christmas. CHARM comes with black band. 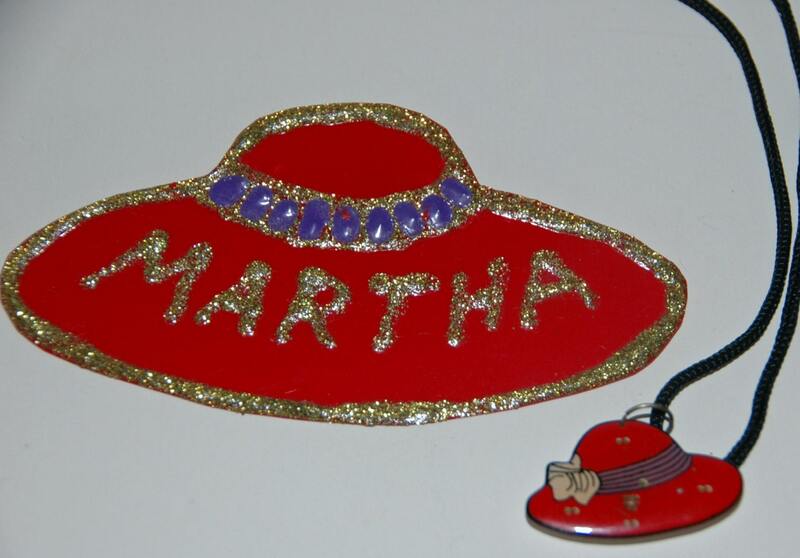 Can be worn around neck. 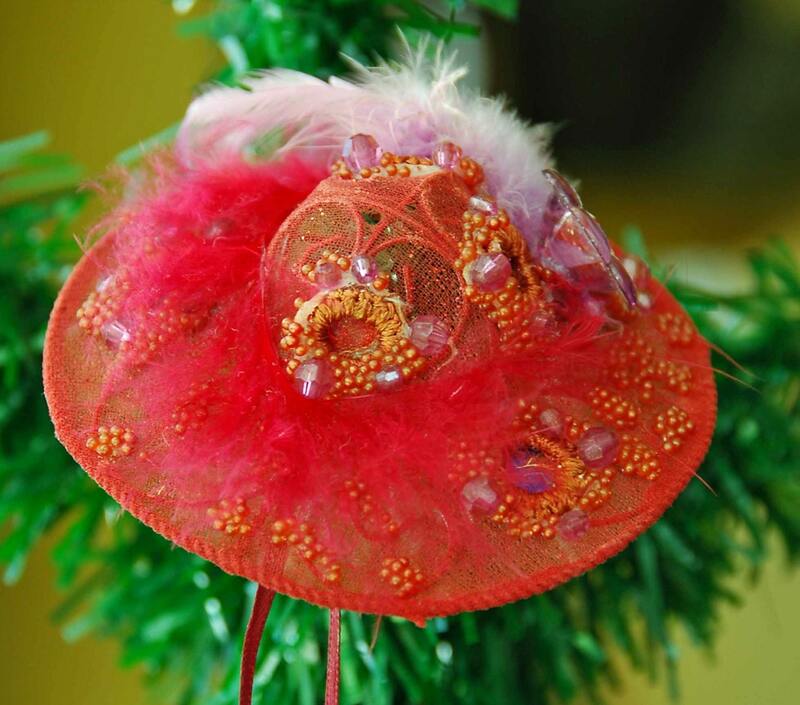 FANCY DECORATIONS – 4 ¾” di. 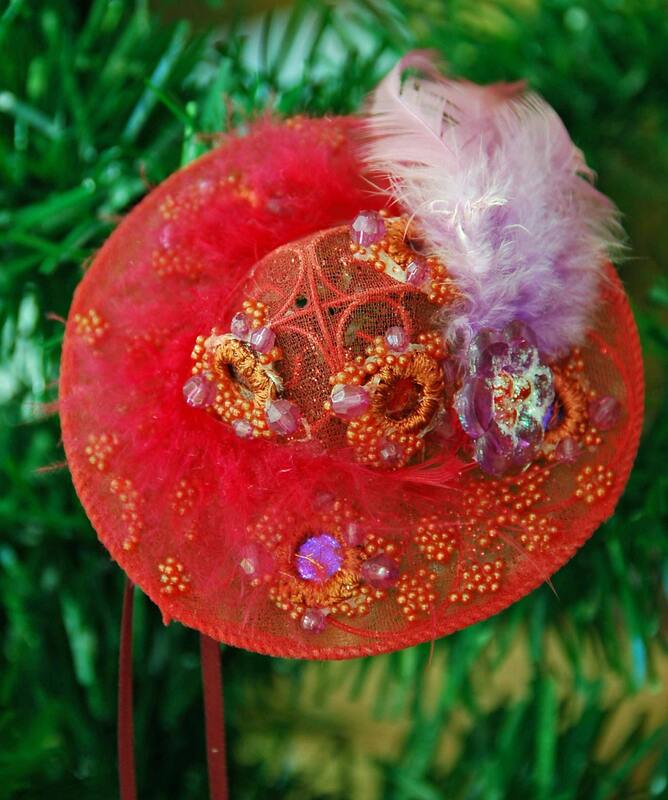 Hang it on your Tree!